My name is Alex Green and I'm from Liverpool, England. I'm 22 years old and I'm a History graduate. A fairly new blogger who's enjoying his way into the community getting to meet and collaborate with fellow writers. If I'm not writing, I'm usually reading, in the cinema or on a train somewhere because I need to travel all of the time. If there has been one constant my whole life, it has been books. Ever since I was small, I can always remember having a book to read wherever I went. There have been blips and breaks as I’ve gotten older and busier but I’m always reading something. I’m not sure if I love reading because it’s all I’ve known or because I genuinely love immersing myself or a mix of both. I like to think it’s the mix and I should thank my parents and everyone else for encouraging me to read at such a young age because it has shaped me and how I am as a person. Dahl is probably my earliest memory of picking up a book and really loving it. I can’t remember what one was first, though I can imagine it was Charlie and the Chocolate Factory or Matilda because I was obsessed with the films when I was younger. I think what Roald Dahl did for young readers is unparalleled to anyone else, for his imagination that brought all his silly creations and characters to life was so brilliant to read. I remember a lot of books by Enid Blyton (Famous Five), Shirley Hughes (Alfie) and E. Nesbit (The Railway Children) but none ever touched Dahl in their imagination and understanding of what children really, really loved to read. His stories of little children going on adventures with giants, giraffes and monkeys, about scary witches and marvellous sweet factories made my little brain yearn for more and more stories. I remember mixing every concoction my bathroom had so I could be George and his Marvellous Medicine or wishing any peach I saw grew to be a giant one. What’s more magical about these stories is that even now, being much older, they are still just as enjoyable to read. I recently re-read The Giraffe and the Pelly and Me as well as Fantastic Mr Fox and Esio Trot (thank you free books in work) and I was just smiling all the way through. The themes and lessons throughout his books teach kids from an early age about the importance of kindness to all beings, about the necessity for imagination and how everyone should believe in magic. So, in the month of his 100th Birthday, I feel this is fitting to remember the man who started it all for me and who will continue to do so for millions more for a long, long time. I absolutely loved watching the James Bond films when I was a kid. Pierce Brosnan was my 007 and even though now I know how cheesy they are, I loved the action and tuxedos and ridiculous car chases through foreign cities. So, when I discovered that there was a series of books depicting the adventures of a young James Bond, I knew I had to devour them all. Luckily for me, these books turned out to be well written thrillers perfect for my age at the time, which I’d say was around twelve or thirteen. What Higson did best I think was not amp up the Bond we all know from the big screen too much for his younger readers. Bond was a confident young man but not cocky and cheesy, his partners were not dumb girls but smart, and badass girls. The stories themselves wove like classic whodunits and he created likeable characters. P.S. A note should be added to praise Anthony Horowitz’s Alex Rider series or the Stormbreaker books. Essential reading for any young teenager/secret spy. Where do I even begin with Tolkien? The Hobbit and The Lord of the Rings are stories I will tell my children and grandchildren and make sure they do the same thing. They’re books that are larger than several others combined but ones you wish you could never ever leave. It’s a world so perfectly weaved, you yearn for a life in the Shire or to explore Rivendell with the Elves. His writing is so confident in his own world it’s actually quite charming as you can sense his joy and pleasure in bringing it to life. It’s a simple story of good vs evil and what happens when you say no and never give up. That and a wild imagination matched by only a few authors in history. What he did for me as a reader is something I’ll always be grateful for. He took me far away when I needed to be and gave me adventures I sorely needed growing up. His books aren’t just escapism, they’re super charged rockets fuelled to the ends of the universe. I’m not a huge non-fiction reader but when I do come to it, there’s one writer I always go to and that’s travel, history and science writer, Bill Bryson. His book Notes from a Small Island was voted the book that best represents Britain and being a person who dearly loves his little old country; it spoke volumes to me. Why this clever and hilarious book works so well I think is the fact that Mr. Bryson is actually American, so hearing the review of where you live from an outsider is always best. Having lived her for so long though, he was qualified for the job. Bill is brutally honest, funny and charming in all his writing. He isn’t afraid to tell something as it is and has a brilliant way of explaining and writing that keeps the reader wanting more and constantly feeling refreshed on the subject at hand. With best sellers in history and science as well as travel, Bill has a brilliant back catalogue for anyone to delve into. My personal recommendations would be his book on Shakespeare, his popular science book A Short History of Almost Everything and for history; One Summer: America 1927. This is probably as cliché as it gets but there’s a reason Harry Potter is still so popular for not just writers, but for millions around the world. There are hundreds of reasons why but to me, Harry Potter exists perfectly for me at every age I’ve ever read it. It never loses its charm and wit but instead finds new ways to draw you in every time you read and re-read it. Whatever troubles I’ve been having, it has an answer for me, no matter what they are or when they occur. I think I started to read Harry Potter at just the right age too. I was eleven when I first received the first four books as part of a set from my dad for my birthday. He and my older sister had already read them and for whatever reason, I was reluctant (probably random stubbornness) but I eventually succumbed and I raced through them several times and waited each year for the new releases to come out. It’s a classic story of underdog taking on the big villain but done in a way so relatable to anyone who’s ever grown up feeling tense and alone and is a remedy for people fighting those demons. J.K. made the characters grow up with the readers, instead of keeping them all the same for the main stories sake. You journey with Harry being small to him having girl troubles and then finally his choices about the past and those he’s lost. It’s about love, adventure, heartbreak, the pain and acceptance of death and being brave in the face of evil. 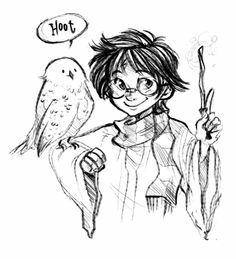 Much of it comparisons to our own lives and escaping to Harry’s world helped me live in my own more openly and accepting it for what it was. I owe J.K. Rowling for my love of reading not just because of the wonderful world she created but also I re-read Harry Potter so much, I forced myself to stop so I could read everything else out there. That was five years ago and I’ve read hundreds of amazing books since but none have captured me quite like Harry did. Notable mentions should go to several other authors and books who I couldn’t include in this post for longevity reasons; To Kill a Mockingbird and Lord of the Flies remain two of the most powerful books I’ve ever read. As for authors, Jane Austen, Mark Twain and the bard himself, William Shakespeare all helped mould me into the obsessive reader I am today, so thank you to those great authors. 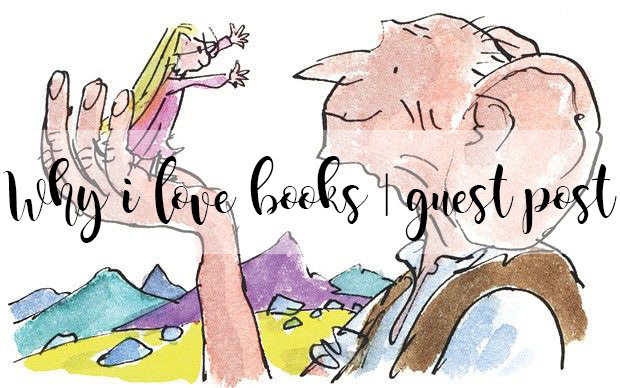 Thank you so much to Alex for such a wonderful guest post, I absolutely love finding out why people have their favourite Authors and the stories behind them! You can find Alex over on his social media accounts which are listed below. Reading was my first love and it was from reading that stemmed my love for creative writing. Roald Dahl was amazing. 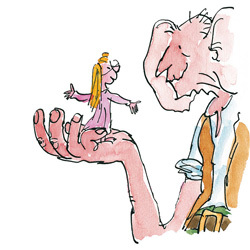 I remember reading The Twits, James and the Giant Peach and the BFG and being so mesmerised by such great characters and stories. I really want to read Love From Boy as well to see how he became the canonical children's author he is known as. And of course Harry Potter. I started reading it when I was just 6 and like many others, I grew up with the series.